Nothing says Easter to me like a good Cadbury Egg. 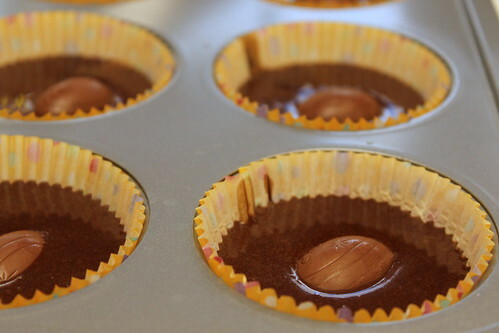 Yesterday I played the little sister role and “helped” my sister Anne while she made cupcakes that either had Cadbury Eggs inside of them or we used the filling to make frosting. 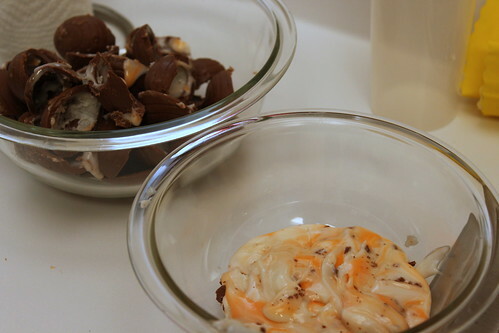 My job as little sister was to scoop the insides out of the eggs (and eat the chocolate shells). I also dropped the eggs in the battered tins. See, I was helpful! I took a lot of pictures (since Anne was really cooking) but I thought I’d post a slide show so you could see the magic. 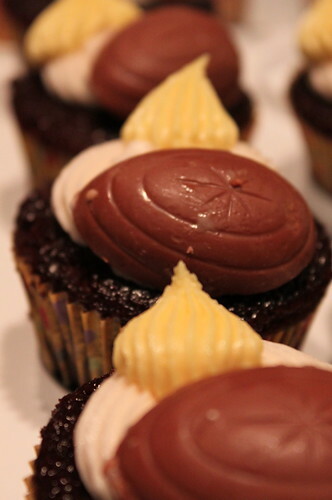 I still need to get a pic of the cupcake with a Cadbury egg inside of it! Perhaps after Easter dinner I’ll get that pic. Happy Easter!